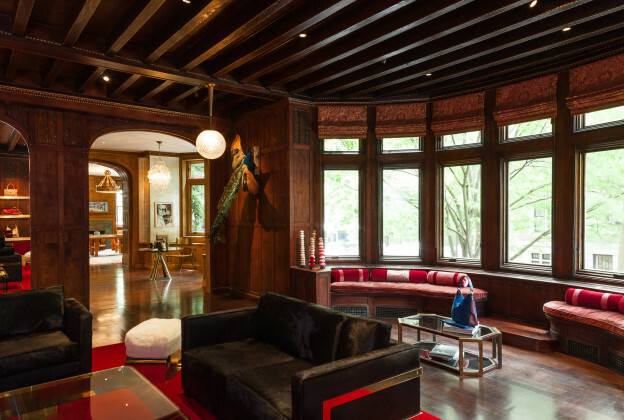 Flagship luxury goods boutique Hayward House in a transformed 1906 Upper East Side landmark townhouse. 5” rift sawn white oak flooring stained deep walnut with a high gloss finish complementing the restored period fixtures and family art, photographs and memorabilia. Older PostNational Gallery, Washington, D.C.